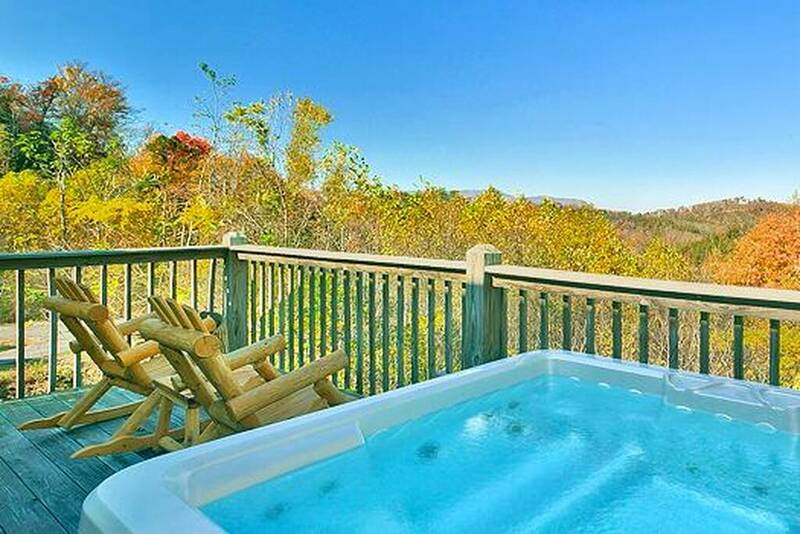 Plan the perfect Smoky Mountain honeymoon or much-needed getaway at Little Bearadise, which offers stunning views of the Smokies in an elegant setting. 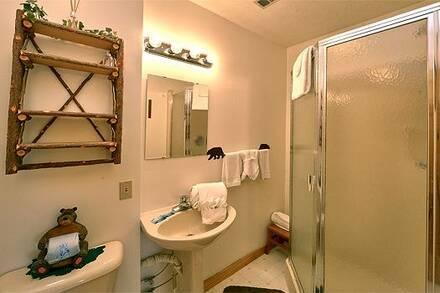 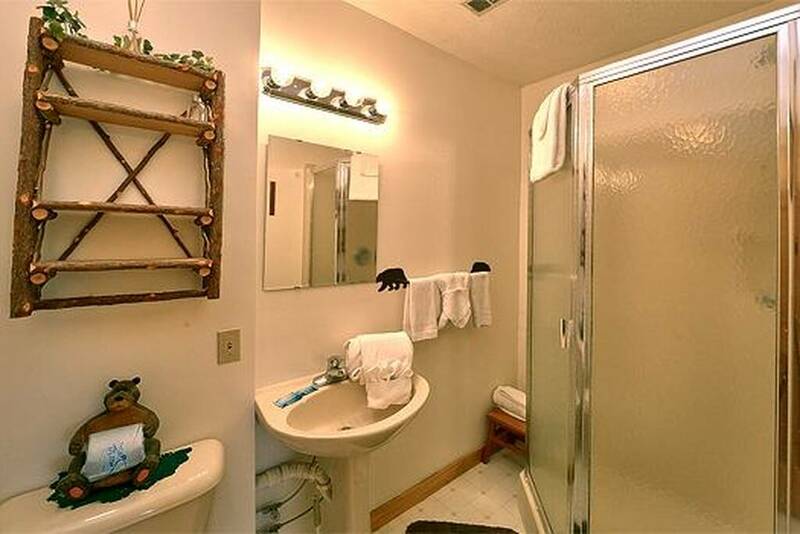 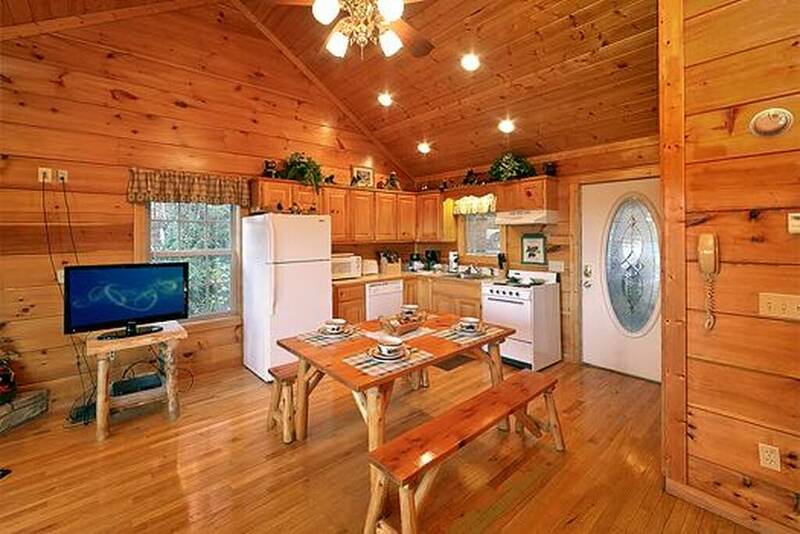 While it offers all the modern amenities to which you are accustomed, it is the extra luxuries and beautiful details which set this apart from other one-bedroom cabins in Pigeon Forge. When entering the cabin, your first site might the stunning view from the far side, as Little Bearadise has floor-to-ceiling windows along its length. 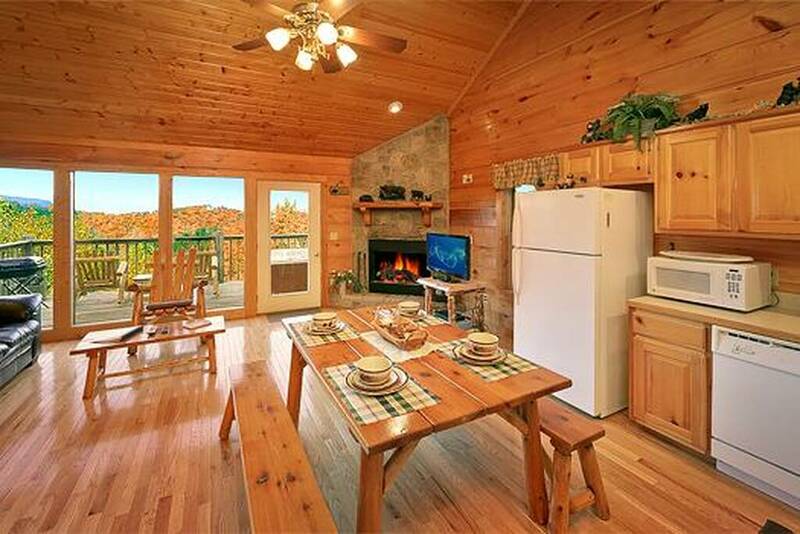 They reveal a beautiful open floor plan with high ceilings, flooded with natural light. 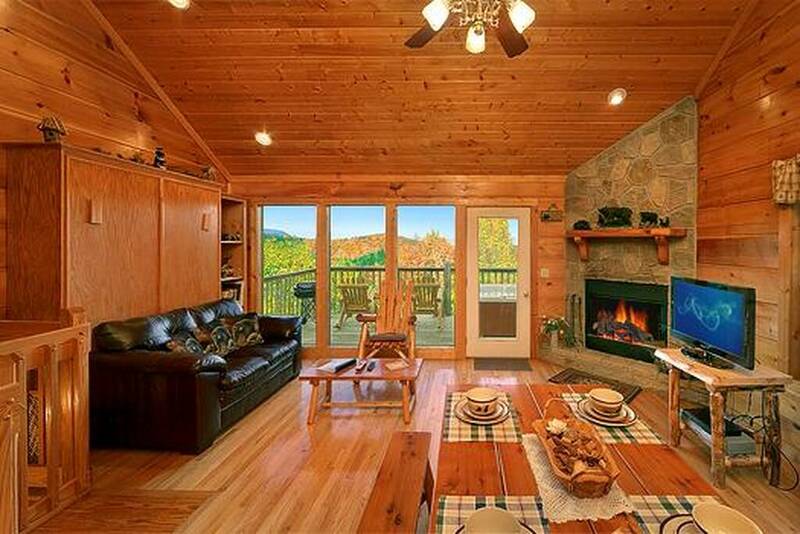 The full kitchen and a dining room table lead into a lounge, which has a leather sofa overlooking a flat-screen television and large wood-burning fireplace with a beautiful wooden mantelpiece. 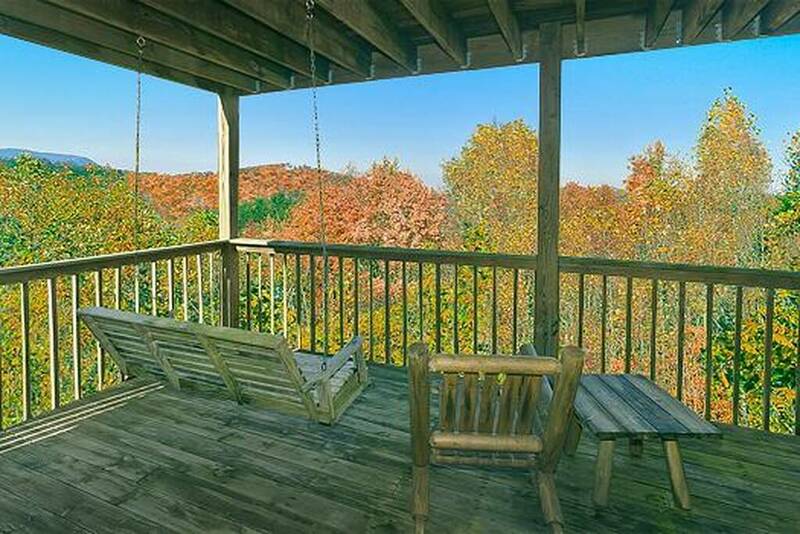 The back deck has a breath-taking vista that takes in a lush green forest in spring and summer and a blaze of colors in autumn. 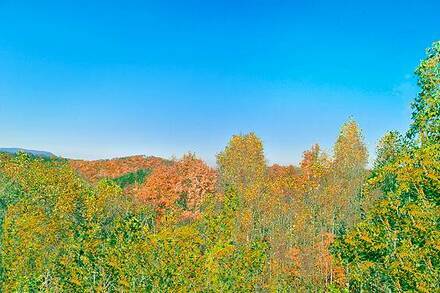 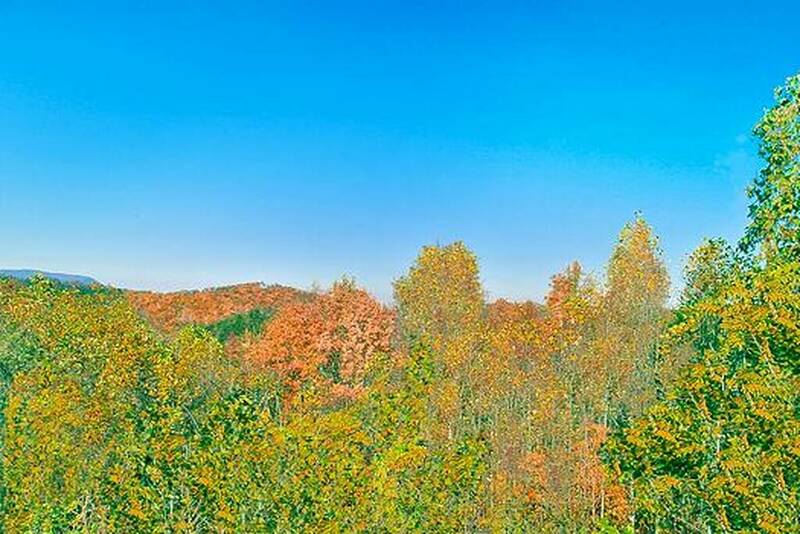 The view of the Smokies beyond is gorgeous at any time of year as well. 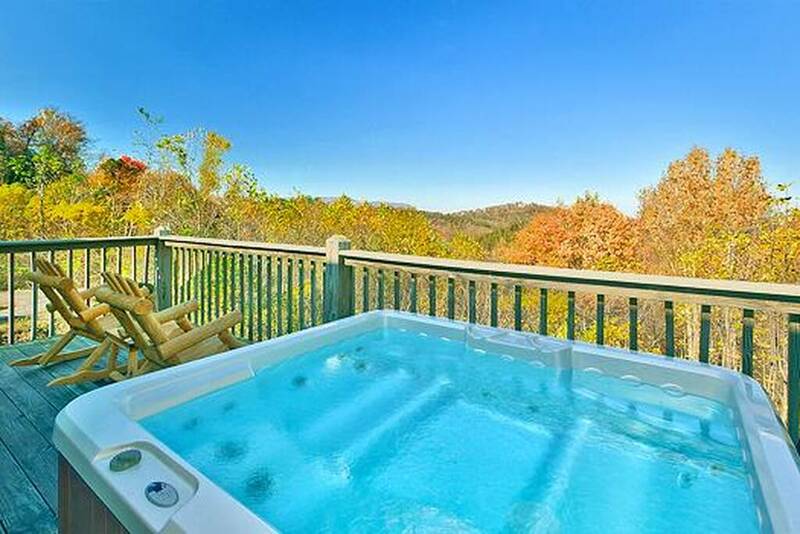 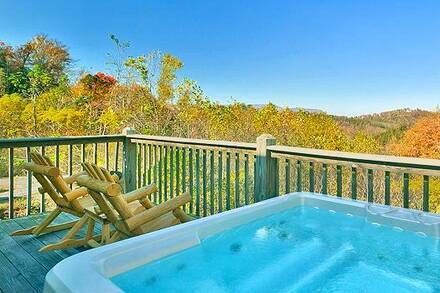 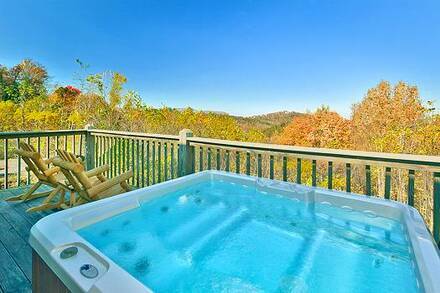 Enjoy the panorama from log-built deck chairs or the hot tub, which adds further romance to watching the stars come out. 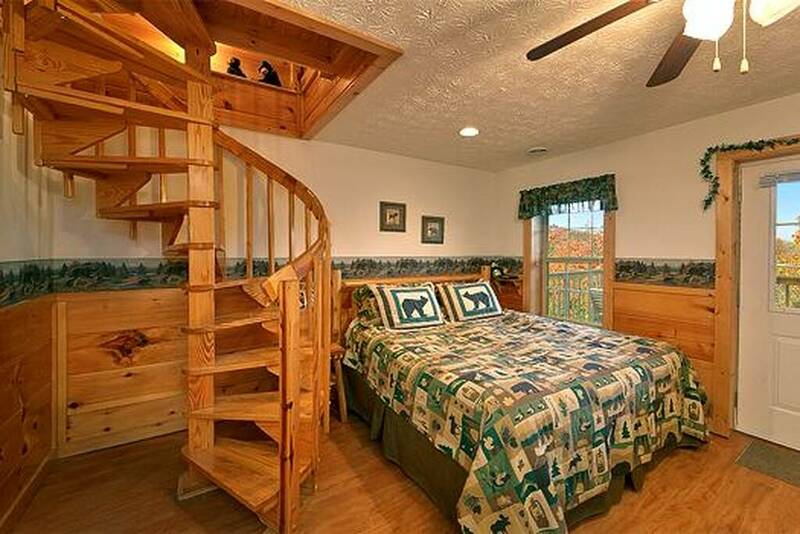 When it is time to retire, descend down a striking wooden spiral staircase to the master suite, which features a king-sized bed and a full bath. 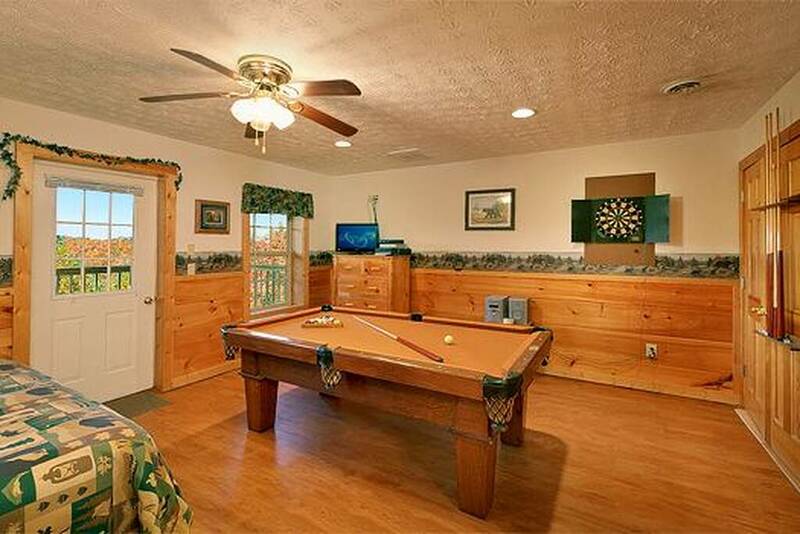 The bedroom has a television and pool table as well and leads out onto a private deck with porch swing. With a murphy bed upstairs, you can bring children on your romantic getaway and still spend plenty of alone time together. 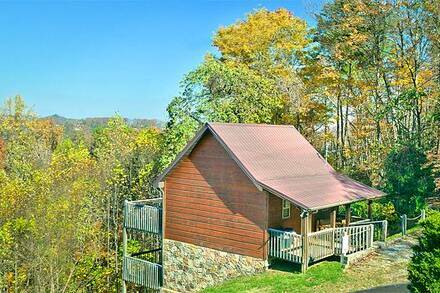 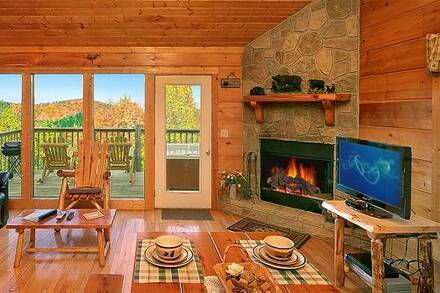 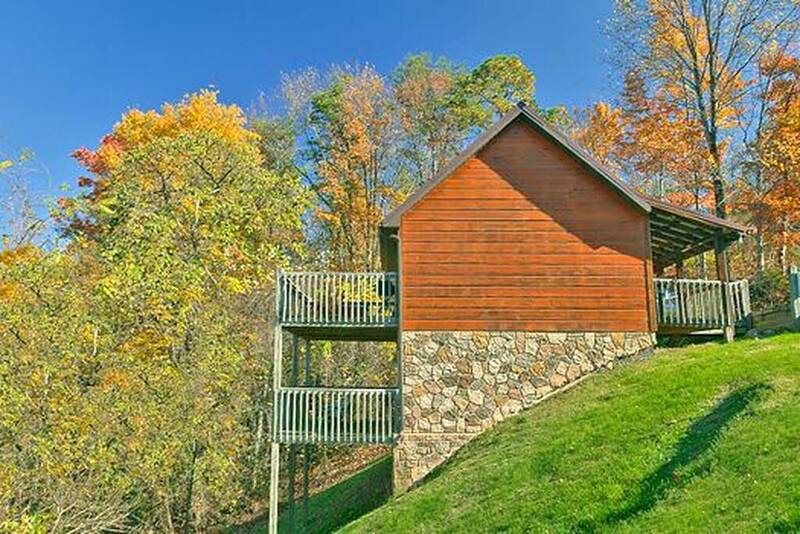 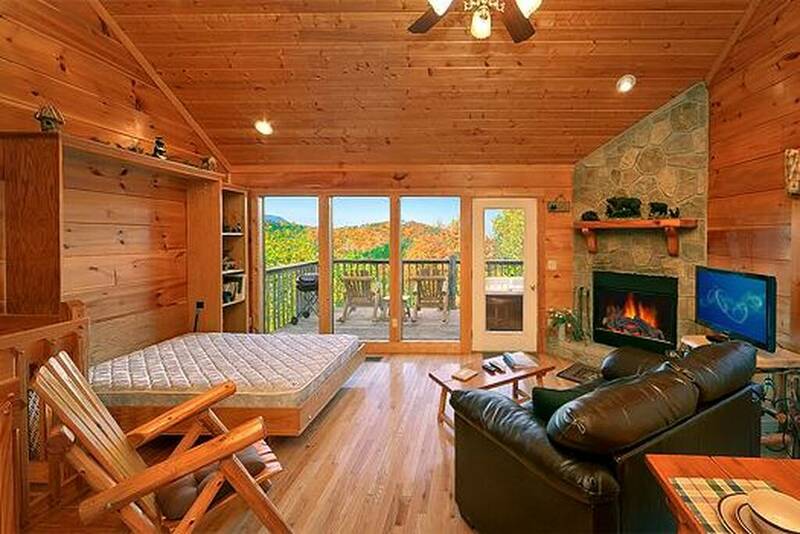 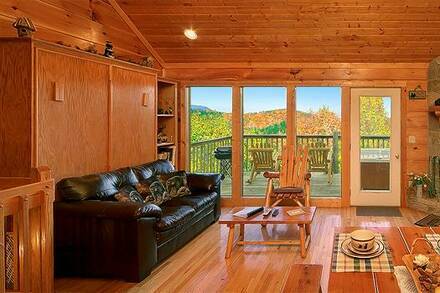 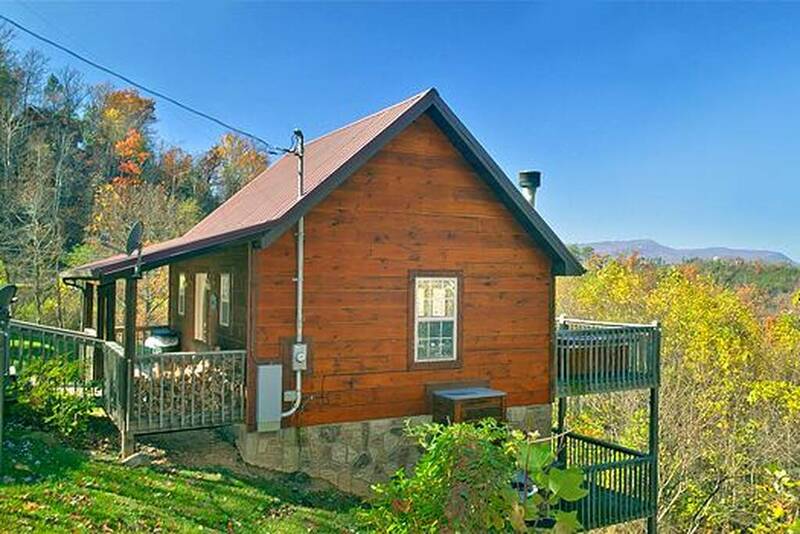 Combine a vacation with friends or family at Mountain Bearadise, a two-bedroom cabin a short walk away. 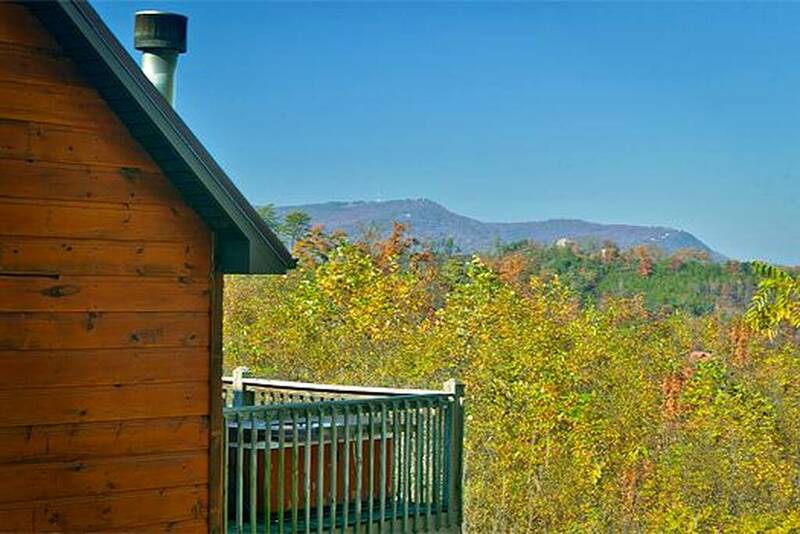 Both are within quick driving distance to the Parkway in Pigeon Forge, offering you access to all the attractions in Gatlinburg as well as the Smoky Mountains National Park. 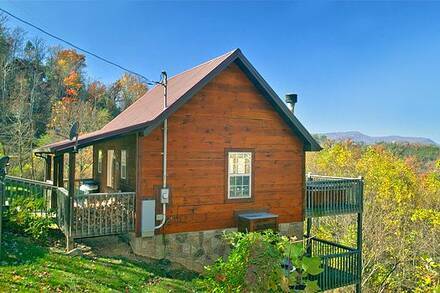 Reserve now as this cabin books up quickly!